If you think carpet cleaning in Harrow is an easy job then you are probably doing the cleaning wrong. Cleaning carpets is one of the most consuming jobs and it usually takes several hours to make a stain fade away. We are here to offer you a way out from carpet cleaning. Take advantage of our carpet cleaning package and we guarantee that your carpets will be hygienic and clean throughout the entire year. We specialize in cleaning carpets in the area of Harrow, Greater London of all types and we are capable of removing stains of old types and ages. There isn’t a carpet that is too dirty for us. We will tackle any carpet cleaning job and won’t stop trying until we achieve a result that meets our client’s requirements. The carpet cleaning package we offer is one of the most qualitative and reliable in the London area. The reason for this is our rich experience and the knowledge and devotion of our employees. 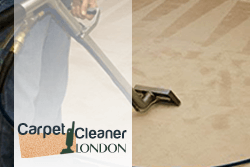 We have gathered some of the most responsible and professional cleaning operatives in London and trained them to apply the most efficient carpet cleaning techniques. 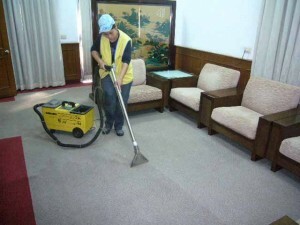 The final result is a top quality carpet cleaning service that can restore the good condition of the dirtiest carpet. We use a range of cleaning methods which involve the use of different equipment and cleaning products. We supply our employees with the needed materials and equipment, so you don’t have to supply any products or cleaning gear. Our carpet cleaning package includes deodorizing, grooming and drying as well, so you can get your carpet fully serviced at a very reasonable price. You are embarrassed by your unsightly carpets? The solution to this problem couldn’t be simpler! All you need to do is arrange an appointment for the premium-quality carpet cleaning service we carry out in Harrow and the boroughs around. Why choose us? We charge competitive prices and never hassle over money as we aim to establish a long-lasting relationship with our customers that is based on trust and mutual respect. We never fail to deliver spectacular results as we are fully-equipped with modern steam cleaning machines and have years of combined experience between us. Drying times are exceptionally quick with us. Make the right decision and book us for your carpet clean. You surely won’t regret it!